I've found the best time to thrift shop is during October in the Halloween section. Most thrift stores save pieces through out the year just for this time. 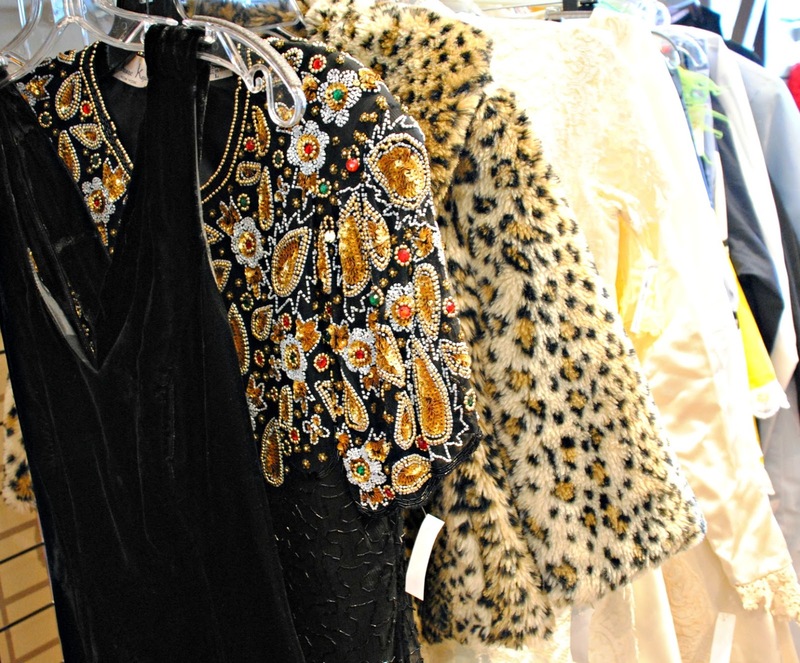 I've found pieces from the 1940's, vintage beaded flapper dresses, 1950's tulle dresses, vintage Chanel, Louis Vuitton...things you dream about for next to nothing. The key is looking for the right things. Skip the trendy, fast fashion brands. They're usually priced bout the same as getting them new and will most likely be ruined after a wash or two. Look for quality brands. 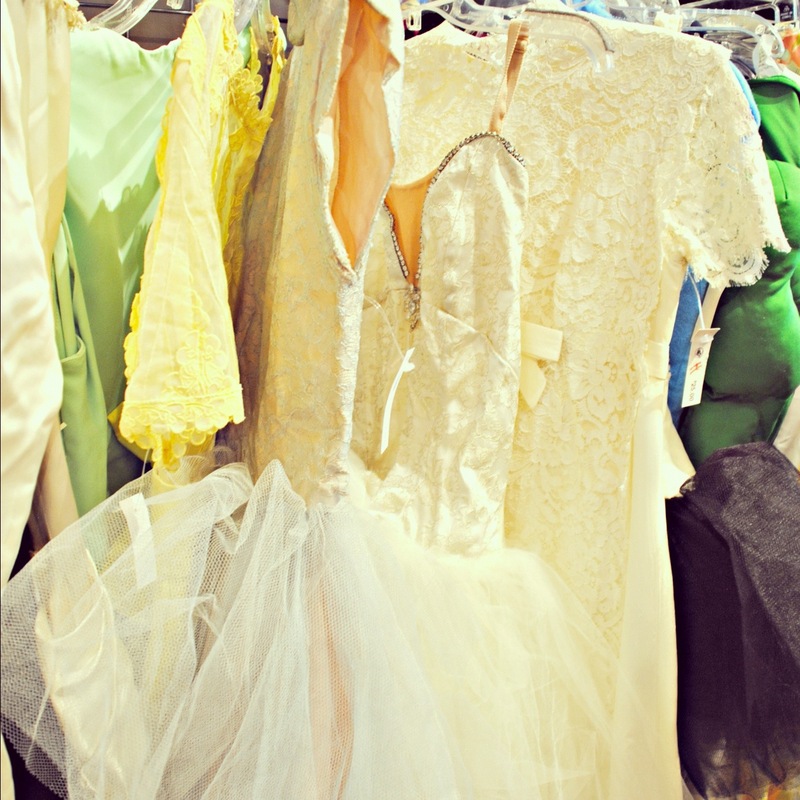 I am always on the lookout for vintage dresses you can wear for special occasions. 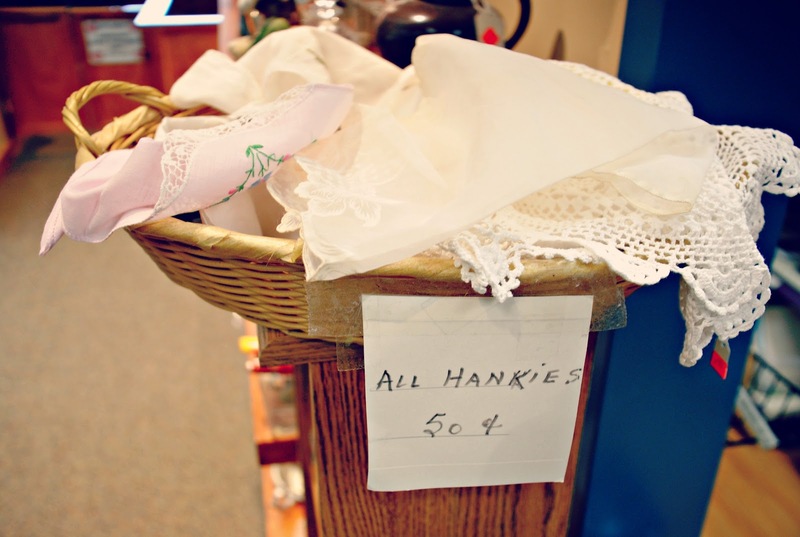 They may need a little care or altering but you'll have a one-of-a-kind look. As a pro in repurposing/upcycling/refashion I'm always on the lookout for fabrics regardless of the silhouette. I can reshape and reinvent them into a whole new fashion-forward design. So don't necessarily pass on that frumpy fitted dress with amazing embroidered details. It may make the most amazing refashion yet. Think velvets, beaded garments, lace...the silhouette may need work, but you can't get the fabric anywhere else. When hunting for vintage whether it be for costume, personal, or resale look for style and fabric which usually give you a vibe of what era. Then to confirm check the tag for dates, brand, and writing style. Most my DIY's are found in these sections. I always go to the linen and table cloth sections for my fabrics. You can find barely used table cloths with eyelet lace and crochet detailing, hand embroidered master pieces. These types of fabrics make great projects or just simply for art decor like this handwoven tapestry above. 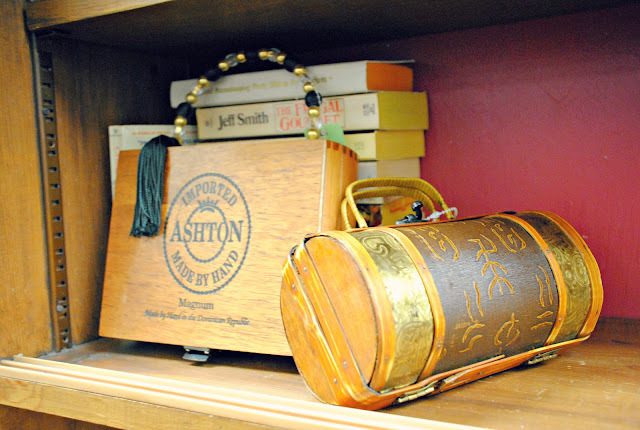 Look for treasures like these little wooden purses dating back to the early 1900's. These make for great personal gifts for friends or family. Thrift shopping has become a fun thing for me to do ever so often. Keep it to things you NEED first and then add a couple WANTS in the mix. Sometimes it's just the thrill of finding treasures amongst the chaos of it all. 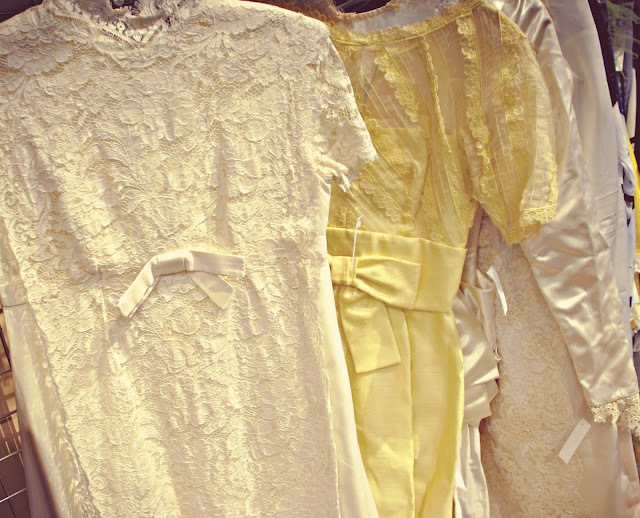 That little white vintage dress is absolutely GORGEOUS. I hope you got it. If so, mail it to me! Haha! Those are great! I have been looking in the halloween section of the thrift store for cool clothes also. I'm glad I'm not the only one who does it. 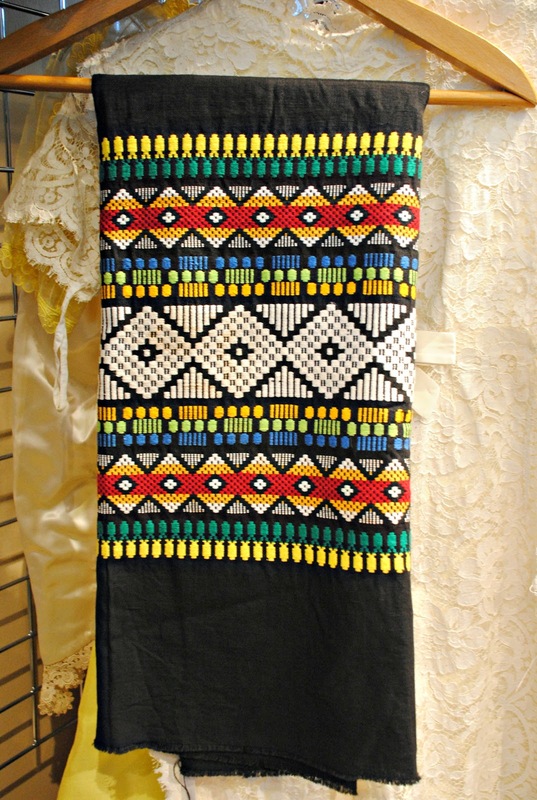 :) The black embroidered fabric is beautiful! Wow! Thank you for this post !! I never thought to do this !! I defintely need to go explore those thrift shops and the goodwill too. Just look at all the crazy quilts, hand bags and etc. we can make out of them including costumes for the children! I made a skirt from a curtain from and op shop. Awesome place for fabrics. Those purses are the top of the top! Great post! I need to do an op-shop ( thrift store) tour of the States. These are amazing!!! Might time my trip for October then! This looks fab!! I absolutely adore that embroidered linen, can't wait to see what you are going to do with it! 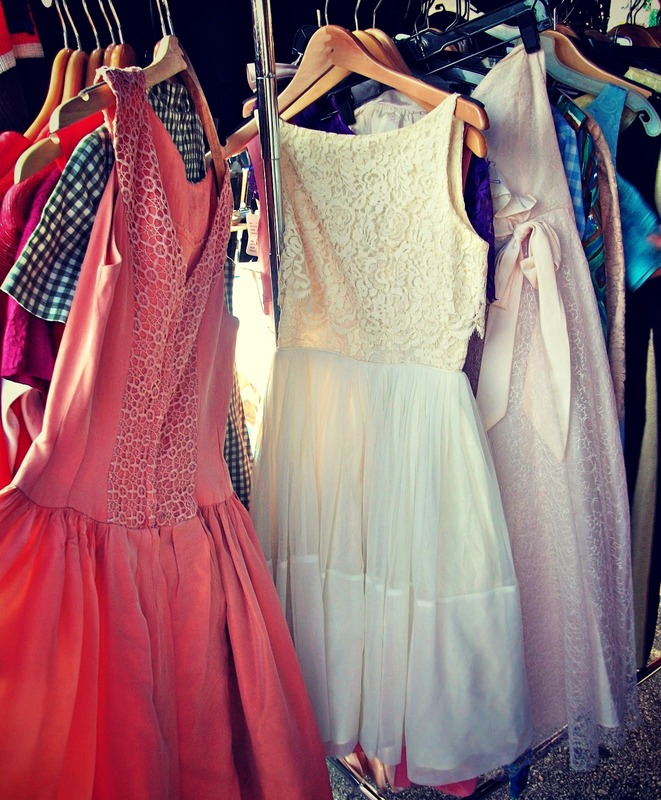 I wish I had thrift stores like this where I live, the fabrics of the dresses in these pictures are amazing. I wish I had the time to do what you do. Your eye for treasures is so inspiring, I love your creativity! I wish I had your eye to see the potential! Inspired by you, we went thrifting today. That dress on the top with the little bit of rhinestone used to be a costume for a ballet dance I was once in. So sad someone didn't save it.